#4: Back to Basics, Part Four | DC2: New Adventures of DC's Heroes! Issue Four: "Back to Basics, Part Four"
The fear we had wasn’t about the government finding out, but that he would find out the truth and reject us. Clark stormed into the house, the screen door straining against its hinges. His feet stomped against the worn hardwood floors. Though he was fourteen, he could still have a hint of a tantrum. It was familiar to both Martha and me and we knew that there would be a fight coming. I was stunned and Martha grabbed a wall for support. Deep down we knew what he meant. “What do you mean, what are you?” I asked. Clark stood there for a minute, a single tear hanging on the edge of his eyelid. His body began to shake, his hands clenching and falling to his sides. “I saw the ship in the ground.” He couldn’t continue anymore, the tears falling silently down his face and onto the floor below. He began crying harder, Martha joining him. This was it; I thought we might lose him here. That he might leave. He had the power to do it, but we loved him and it was time for the truth. Emil could barely contain himself, he was in the fortress. It wasn’t his first visit, but there was always something new and exciting. His eyes darted left and right, looking at the computer console, a tunnel that led to a zoologist’s dream of alien species, and the robot that hovered before him. The robot won out in garnering his attention. His hands felt under its body, feeling no form of resistance, though it hovered above the ground. “Fascinating how it maintains its height, but there isn't a hint of a propulsion system.” His hands wagged a few seconds longer before moving to the body. Emil began tugging at the robot’s chest plate. A groan escaped him as he couldn’t find a way to open it. Superman just looked at him with amusement. The robot, though, was not amused and pulled back from Emil. “I.. ummm, I mean, I never meant…ummm.” Emil was at a loss for words. “You never, hmph, at least buy a girl a drink and ask permission first.” The robot turned away from him and headed toward the computer. “Fascinating. I always thought of your robot guardians as gender neutral, but Xelek has really opened up possibilities.” His uncomfortableness was gone as his mind started going over the new dynamic. Xelek looked over at him. “I'm standing right here, Professor. Men, uggh.” She turned back to the screen. “Who indeed,” Emil said as he followed Superman to the computer screen. The commands flashing across it were in Kryptonese, a language he had not yet mastered. Xelek noticed the slight tensing of muscles and understood that Emil was hesitant. She grabbed his hand and pulled him closer.“ Professor, don’t worry about the language, the computer is intuitive and can work using languages throughout the universe, including English. Emil , waved him away, not lifting his eyes from the streams of data pouring across the screen. Xelek nodded. “We got this,” she said, pointing to the other two robots that hovered nearby. It had always fascinated Superman that Xelek and Kelex had developed personalities, while the other two had not. Maybe it was something he could explore with Emil after this transmission business. Emil didn’t respond, but Superman knew that he had heard him. He turned away and headed back for Metropolis. Lois and Jimmy walked back into the hospital. They had headed to Alice and Perry’s to get them a few things. It was evening and the hospital was mostly empty. Though Jerry was in intensive care, they were allowed to see him thanks to Perry. He had thrown such a fit that the head nurse had given instructions to let anyone Mr. White considered family through. It was a lesser evil than allowing a ruckus to affect the other patients’ convalescence. As they walked closer to Jerry’s room, they could hear the doctor talking. “What do you mean, non-biological parent?” Perry interrupted. “Maybe I should leave,” Jose Delgado said. He still felt a little uncomfortable here, after all, he was just one of Jerry’s teachers. He had saved him, but he didn’t know if that was enough to give him a place waiting to hear how he was doing. Lois and Jimmy were frozen in the doorway, the doctor glancing over at them. “Sometime tomorrow. I wish there was some other news I could give. Please contact the nurse if you need anything else.” Dr. Green turned and left the room. Lois patted his arm as he passed, giving him a smile, but it did little to comfort his gaffe. “No,” Perry said abruptly. “You stay, I need some air.” He walked out of the room as Alice began to cry. Hope drove the large truck with Mercy in the passenger seat. They said nothing, having worked together long enough to be comfortable in the silence. Mercy merely looked out of her window, seeing the lights of the city as they weaved in and out of side streets, closing in on the bustling nightlife of the New Troy district. For all of the traffic, they made quick progress, ending up in an alley around the corner from some of the best restaurants and clubs in Metropolis. As the truck ambled to a stop, both women exited. They were models of efficiency; Hope lifted the door while Mercy used the controls to extend out the ramp, unceremoniously dumping Metallo onto the concrete. Mercy recalled the ramp and pulled down the door, locking it in place. Hope went up to Metallo, pulled out a small device and pushed it against Metallo’s head. An arc of electricity shot out of it and coursed through the robot that had once been a man. The metal body convulsed until the charge was spent. Hope put away the device, jumped back into the driver’s seat and started the vehicle. Mercy was already belted in and ready to go. The truck lumbered out of the alley as Metallo’s eyes began to open. Clark finished polishing his article on the Parasite. Well, the new Parasite, at least. Raymond Maxwell Jensen had been incarcerated in Ryker's due to their pre-existing containment protocols designed for the previous Parasite, Rudy Jones, but S.T.A.R. were working on something more suited to his condition. He'd been relatively docile since his imprisonment, but it looked like the malignant consciousnesses he'd absorbed back when his powers first manifested had got the better of him. Having the minds of a handful of Intergang members in your brain meant your internal moral barometer could veer wildly, and it was clear that Raymond's was currently off the scale*. *Be sure to check out Action Comics #49 to meet the new Parasite! Out this month! He made sure that there were a few typos in his article before sending it to the editor. He had made that mistake when he first started working, everyone had wondered why his articles were always perfect. He had learned to add a few typos or grammatical errors here and there to distance himself from any unwanted attention. It could be a pain, but he loved his life as Clark Kent and wasn’t willing to jeopardize it. He grabbed his suit jacket and put it on as he walked to the elevator. He hadn’t heard from Emil, but that just meant the scientist was lost in his work. He knew if anyone could figure out the mystery of the transmissions, it was Emil. The elevator pinged, then the door slid open. Clark stepped in, hitting the button for the Lobby. As the doors slid closed, he hoped that Alice and Perry were doing okay. Alice stepped out of the hospital entrance. She had spent the last twenty minutes looking for Perry. As she looked to her left, she saw him. He was standing under a nearby tree, only the outline of his body visible in the twilight. She walked towards him and put her hand on his shoulder. “You knew.” It was a statement from Perry, not a question. Her hand dropped from his shoulder. “No, not for sure. Not until the doctor…” She let her words trail off, not needing to relive the revelation. The question came out harsher than he had wanted, but he didn’t care. His son was dying and his heart was breaking. It seemed like it was all falling apart. Perry just looked at her, waiting for an explanation. She was younger than him by nearly a decade, and even now, she was iridescent in her beauty. Theirs was a love that he'd never felt any doubt of, even when he was the dogged, cantankerous journalist, older than his years, and she was rolling her eyes at his bullheaded nature. “Then your camera arrived. It was weird, the government brought it to me, some Army General. They had taken the film, to review your last moments, but I didn’t care. The camera brought all of my loss back, I was drowning in it and I called Lex. He rushed right over. He comforted me, listened to me, but the sadness wouldn’t subside. He made a move and I wanted to feel anything but sadness.” She fidgeted a little, her hands still clasping her arms in a hug. Perry wrapped his arms around his wife, comforting her and kissing the top of her head. Alice let out a breath that she didn’t realize she was holding. She turned toward her husband and he kissed her, but in the back of his mind all he could think was that Luthor was a dead man. Luthor sat in his lab. The green glow bathing him through the radiation-shielded container. He had found a way to pepper lead throughout a see-through polymer. His windows were all made of the same material, protection from peeping eyes and all. He was pleased with the readouts, this was true kryptonite. Pure and waiting for him to tap its potential. Yes, Lex could use it, but not for something like the stone of a ring. No, Lex would use it for something more grandiose, something that would truly hurt the Man of Steel. Weapons were so blasé, but what if it could be transformed into something else? Something that Superman would never suspect. Maybe seed the rain with it, or hmmmm, place it in the atmosphere. He would need more for that, but imagine the possibilities. A planet that Superman couldn’t live on, a planet that was made to be lorded over by Lex Luthor. He would replace that bumbling buffoon as the savior of the people. Yes, he liked that thought. Lex hit a button and a metal container surrounded the Kryptonite. He adjusted his tie in the reflection of the computer screen and then headed for his office, images of Superman’s dead body dancing through his head. Perry and Alice arrived back in the room, her hand in his. Lois smiled when she saw it, knowing that whatever was going on was working itself out. Though, she couldn’t quite curb her natural inquisitiveness; she wondered who Jerry’s father really was. She wouldn’t go digging or anything, but the desire to know was still there. She stood up. With all this drama, it was time for her to leave. Jimmy and Jose also took her cue and stood up as well. Alice walked over to him and gave him a big hug. “Of course not. Without you he wouldn’t have made it.” She kissed his cheek and moved back next to her husband. “We're going to head out too,” Lois said. They gave quick goodbyes to the Whites, pain etched on their faces. Then all three headed out of the room and made their way down to the lobby. Jimmy was the first to exit the elevator, running straight into a young woman. Her papers fell to the floor. Jimmy began picking up papers, the young woman grabbing them as he stuffed them in her hands. Lois could see that the woman was amused by Jimmy, not angry. That made all the difference. Lois laughed and directed Jose out of the hospital, his eyes caught by the spectacle of Jimmy trying to grasp the papers, only to see them fly free again and again. Jose turned from Lois and walked towards the entrance to the subway. He’d fought the Parasite and held him off. How hard could it be to hold off thugs and drug dealers? Not that hard. He had seen his neighborhood go from bad to worse, though Suicide Slums had always been the worst part of the city. Still, he had made a life there, put himself through school and was now working at one of the best high schools in the city. But he was still a teacher and Suicide Slum was what he could afford. It wasn’t that bad, it was home. He and his neighbors had spent years cleaning up their block. He even volunteered at an after hours center, to keep students from getting involved in drugs and crime. He was proud that his block was one of the safest in the area, but why did it just have to be one block? No, it could be more and he could do that. Gangs were everywhere; he would take them apart, make it safe for kids and adults alike. Not having money didn’t have to mean kids were sentenced to a life of drug abuse or crime. No, he would make a difference. He boarded the subway and noticed it was pretty busy. Even being late, there were quite a few people, though a seat or two was free. He sat down. He knew what he had to do, he had to bust up the gangs. That would affect crime and drugs in the area. Yeah, Gangbuster, that sounded good. He would become a gangbuster, now he just needed the perfect suit. A vigilante had to look the part, after all. Clark took the time to stroll through the streets. He had been going non-stop the last few days, slowing down would do him good. The business district slowly changed into a slew of restaurants and nightclubs. The sidewalks became more crowded as people went on dates, or rushed to meet friends. It was nearly electric and he wished that Lois was there with him. “Yeah, they are. How are Perry and Alice?” Clark was worried about them and upset that he had been torn from their side. He knew Perry understood, but that didn’t make him feel any better. Clark hung up the phone. It was a common occurrence that they could only grab snatches of conversation here and there; that made every one of them so precious. He continued moving with the crowd of people, which was becoming a little too thick. Time for him to make his way to somewhere private so that he could fly home. There was an alley nearby, but a commotion up ahead. Horns honking and a scream or two, to be precise. He knew that it was at least a block away, but could be more. The constant surrounding noise was making it hard for him to pinpoint it. He continued to move towards the alley, but had to be careful of using too much strength. Then the crowd began to surge, but not away from the sounds, toward them. Clark was carried along. Well, this was an opportunity to find out what was going on. He could have fought to get to the alley, but someone may have been hurt. Phones came out of pockets, flashes going off, and then Clark could see what was going on. Metallo, wobbling through the street. Okay, time to change and take care of this, thought Clark. He gently made his way to a private area just as two police cars arrived. He looked over his shoulder and saw Metallo’s reaction to the strobing reds and blues. The lights caught his attention and he began to make his way towards them like a drunken sailor. One pair of officers jumped out of their car, guns drawn. Clark was frozen as one officer fired, the bullet ricocheting off Metallo and hitting a girl. She dropped. He had taken only a few seconds to see what was going on and someone had gotten hurt. In a blur, he was in his costume and flying over the scene while everyone’s attention was on the cops. Metallo was swatting at the officers, but half-heartedly. He had knocked one down and was focused more on the flashing lights than he was on the other officers as they exited their patrol vehicle. Superman could tell that Metallo was lost, didn’t know what was going on. The police officers needed no urging and began trying to push the crowd back. It seemed a useless endeavor, but they would manage until more officers arrived. He walked up to Metallo. “John, are you there?” There was no response. Superman tapped him on the shoulder, that got his attention. 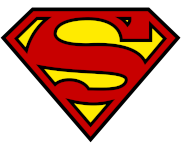 He stopped looking at the police lights, turned around and lunged at Superman. It was easy to dodge out of the way. He used his leverage to pick up Metallo and slam him on the concrete. His hands were on the robotic shoulders, keeping him down, but Metallo’s feet were free. They began hammering Superman’s abdomen like a jack hammer, sending him smashing into the hood of one of the police cruisers. The metal wrapping around him, but not for long. Superman pulled himself from the twisted metal and stood before Metallo. He hasn’t spoken, he hasn’t attacked unless someone attacked him. I need to find a way to reach him, Superman thought. He took one step towards Metallo. There was no response, but he did look up at Superman for a brief second before sitting down on the street, pulling his knees to his chest, and rocking back and forth. Over and over again, he said it. Superman knew Metallo was a killer, but he couldn’t help but feel compassion. He didn’t seem to have any kryptonite powering him, nothing powering him. At least nothing that would last. There was always a hum to Metallo that was not now present and Lex had to have had something to do with it. “John, I wanna help you get your memory back, is that okay?” Metallo looked up at him and nodded. “You have to go with the police, okay. They will take you somewhere safe, but you have to trust them. Can you do that?” Superman had heard Maggie’s unit coming, along with an ambulance. He knew they would be able to transport him and that the girl would receive care. Metallo nodded and let them restrain him. He nodded to her and then took off into the air. Lex looked out over the city as an alarm went off, notifying him of Superman’s approach. He hit a button and one of his glass windows slid open just as Superman flew in. “We got Metallo. He was saying your name over and over. Why is that, Lex?” The anger poured out of Superman’s voice. He couldn’t help think, maybe this is the time he can nail Luthor. “Is it ever?” he stated, his back still to the Man of Steel as he flew off. Luthor had been confounding him from day one. He knew it, but still he let it get under his skin. There was no way he could help it. He wanted to nail Lex to the wall. He found himself heading to Lois’s, needing to take his mind off of Lex, and his fiancée was just the cure. Making a quick detour before landing near her apartment, he then quickly changed into his street clothes. Walking into the building, he made his way to her floor. His pace quickened as he came closer to her door, excited to surprise her. He knew that she wouldn’t expect this and seeing her face would be worth it. He knocked gently and waited. It was a few minutes before he could sense her looking through the peephole and undoing the locks. “What brings you here?” Lois was teasing him, he could tell. Lois smiled; he was always so considerate. She loved him and knew he loved her. They had waited years before getting together. She wouldn’t make that mistake again. No, she wouldn’t let Mr. Kent get away. “Well, since you're here, why wait until breakfast to see one another. We could have dessert.” She winked at him.